Item Number: 66-7-55 17181 Actual Weight: 1 lb. Designed to hide stains, dirt, and grease. Powder-free, durable gloves have textured fingertips for superior grip. 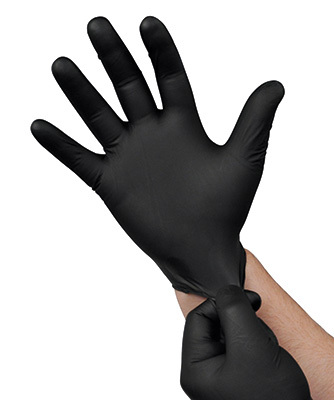 Use in law enforcement, automotive industry, hair salons, or anytime you want to reduce the visibility of stains on gloves. Meets FDA and USDA specifications for food contact. Helps meet OSHA requirements for exposure to bloodborne pathogens.